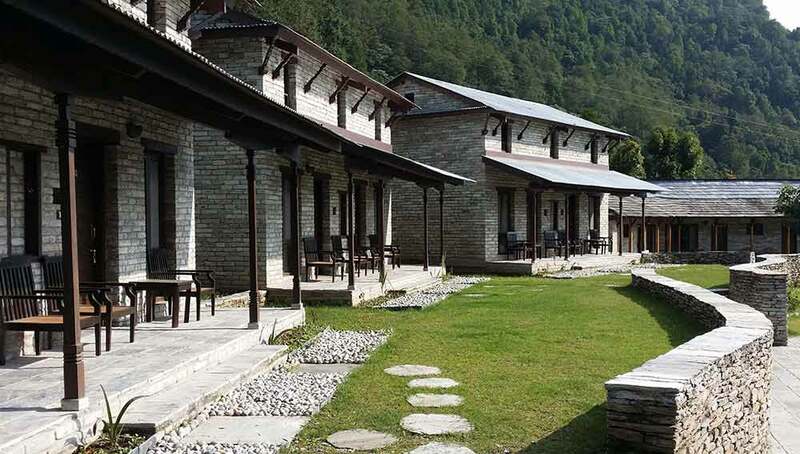 Built in the style of a traditional Gurung village, the buildings of the cosy and comfortable Gurung Lodge (a Kerr & Downey lodge at 4,620 ft) sit in extensive gardens on the edge of the village of Majgaun. 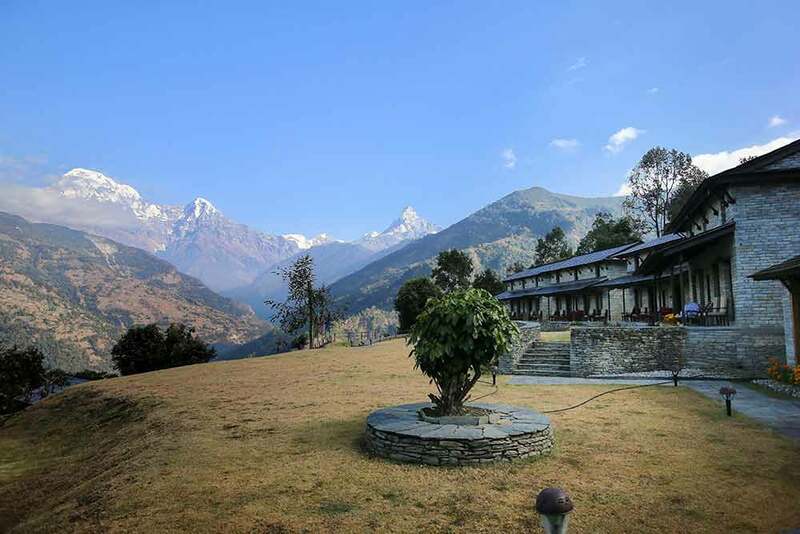 The jaw-dropping views of the surrounding valley and mountains, in particular Annapurna South and Annapurna One, are incomparable. 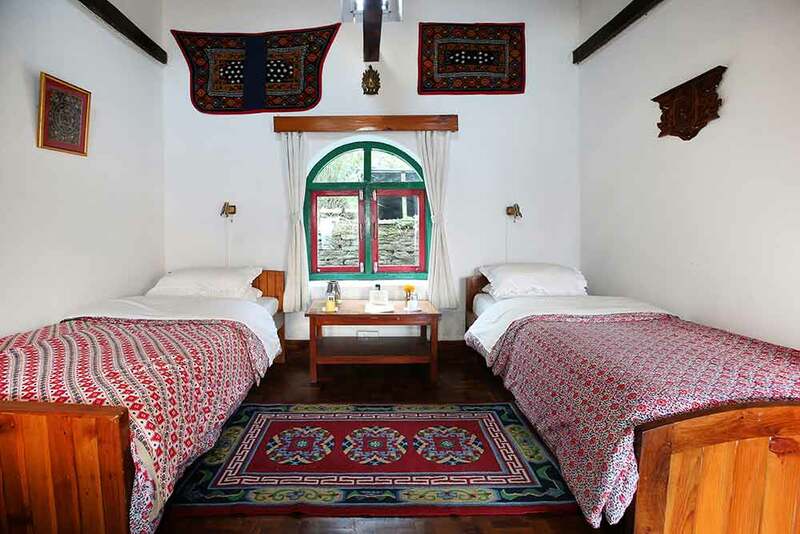 The lodge has 10 simply appointed en suite rooms housed in tribal style houses, each with antique carved windows. 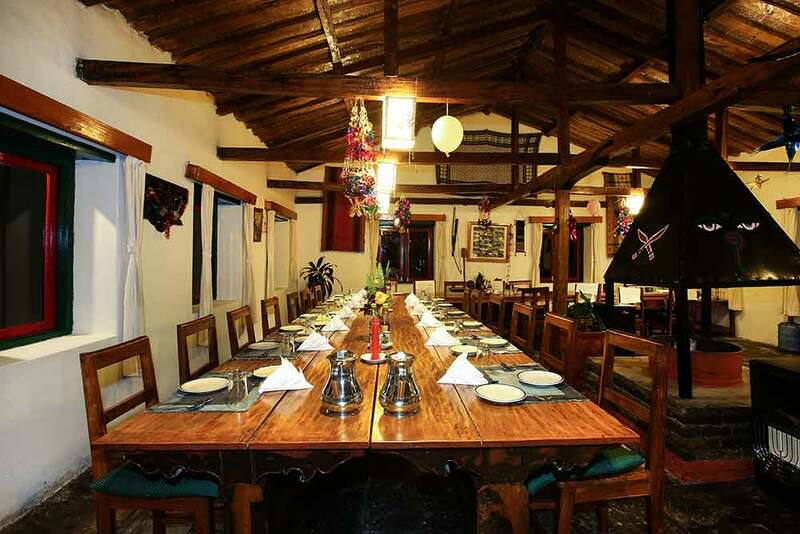 There is also a centrally located dining area and bar with a large open fireplace around which guests congregate. Walks in the surrounding countryside provide superb photographic opportunities, and fascinating visits to local Gurung village houses may be arranged. 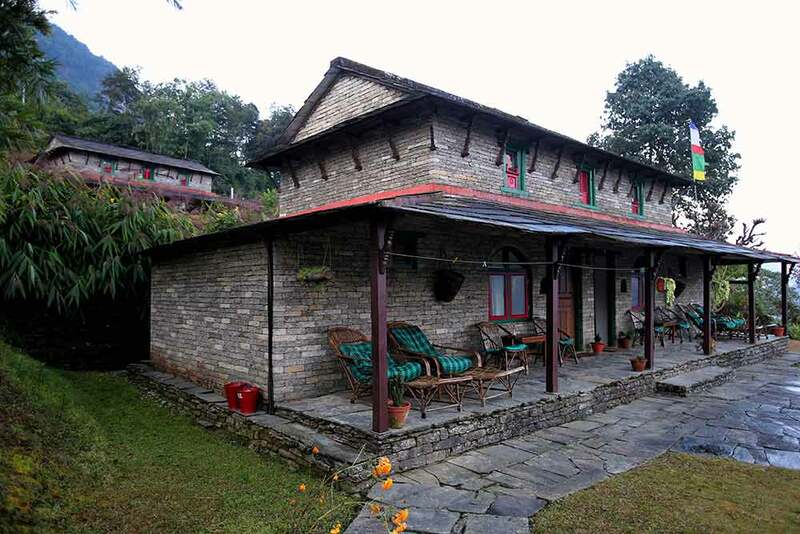 Mala Lodge is located just 10 minutes walk from Gurung and is often used as a second location for guests.